No doubt about it, TMR (Total Merchant Resource's) is going to completely change the Shark Tank Show in a very positive and big way starting this Friday Night on Episode 509. If there's one thing all small businesses need is the access to working capital to keep the business afloat in lean times or to buy a much needed piece of equipment that would greatly pay off in the long run. You have orders pouring in at a steady rate but you also have a lot of money going right back out making sure you keep all your vendors happy "first". It's a constant tug-of-war for a lot of Small Businesses stuck in this trap from taking their Business to the next level. If only they had access to a Bridge Loan that was backed up not by their credit score, but solely based on how successful the product is selling and the number of credit card orders the business is generating. This is where Total Merchant Resource's comes in with a very creative solution that a lot of entrepreneurs of all types will be interested in what they have to say. Unlike getting a Traditional Loan from a Bank for the most part Total Merchant Resource's could care a less what your Credit Score is or what you intend to do with the loan for that matter. TMR makes loans to Small Businesses and Franchisees mostly based on revenue being generated by credit card sales. If you're a brand new start-up company with no track record of credit card sales, you may want to wait a few months until you have an established track record before you apply to TMR. The one main requirement to get a loan from Total Merchant Resource's is having a minimum of $5,000.00 in credit card sales each month. Total Merchant Resources owners Jason Reddish and Val Pinkhasov specialize in Alternative Business Financing which makes loans in as little as 3 to 5 days backed by your credit card sales. TMR not only makes loans to small businesses that may not qualify for a traditional loan from a bank, they also specialize in Franchisee Loans from some of the most recognized Franchises in the country. The Franchise Loans Total Merchant Resource's has already made in the past covers companies such as Taco Bell, Burger King, Subway, Midas, KFC and Dunkin Donuts to name just a few. We know from the previews of Shark Tank that one business gets a $4 million dollar deal from at least one of the Sharks on tonight's episode. Considering this business is all about "money" and attracting some of the most well-known Franchises in the country, its a safe bet the Sharks will want a piece of this alternative business loan company and will be willing to invest big bucks to get a piece of the action. As hard as I tried I couldn't find out how much it costs to get a loan from Total Merchant Resource's or even the terms of the agreement. I would imagine most loans are done on a case-by-case basis with the better terms for businesses that use this service frequently. Even if you don't need the money today, it has to be a good feeling if something should arise you have access to the money if you ever need it. This reminds me of something I heard John Paul DeJornia say in a video I watched earlier this year when he was talking about being a Guest Shark on the Shark Tank. John Paul who is now the "Richest Shark to ever appear on the Shark Tank Show" did mention he made one very large investment during Season 5 that has huge potential for becoming a Very Successful part of his financial empire. H'm, could John Paul DeJornia's very first Shark Tank appearance also be the single largest investment ever made on the Show? It's also interesting to note that TMR might be the first beneficiary of the new rules for appearing on the Shark Tank where contestants are no longer obligated to give up a percentage of their business whether they get a deal or not. Thanks to Mark Cuban that threatened to quit the Show if this rule was not amended, it opened up the doors for bigger companies that now will appear on the Show. 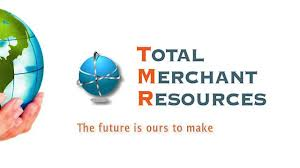 Visit Total Merchant Resources Website and see how much money your Small Business can raise in a matter of days.